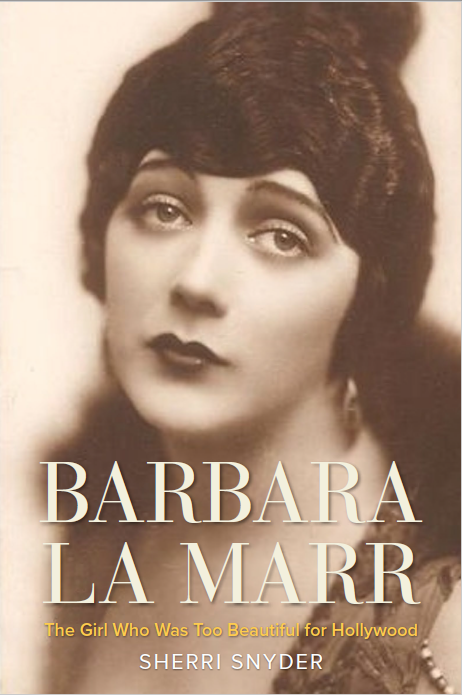 Silent screen siren Barbara La Marr passed away on January 30, 1926, having lived life on her own terms. Her death, attributed to tuberculosis and nephritis, was hastened by her tendency to “burn the candle at both ends,” her severe diet regimen, and her insistence upon continuing her work until her final collapse on the set of her last film. Her life, involving accomplished careers as a theater actress, cabaret dancer, vaudevillian, screenwriter, and film star—and unremitting scandal—played out in ceaseless headlines. This entry was posted in Book Updates, Reviews, and Interviews on January 30, 2017 by Sherri.